We are able to provide as little or as much as you require. 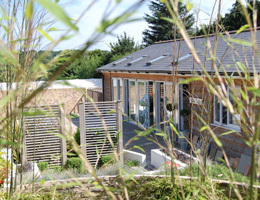 The key services we offer have been awarded their own sections within the site. However we are particularly proud of our links with the following. This in addition to carrying out our own in house, design and related services. 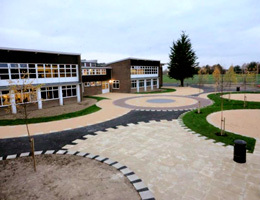 Cover all aspects of landscaping whilst working closely with clients, garden designers, developers and landscape architects. 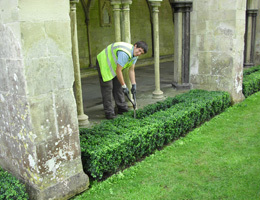 They carry out additional services including, garden lighting and irrigation. Based within the New Forest, they are able to work in all surrounding areas of the south including, Hampshire, Dorset, Wiltshire extending into Surrey, Sussex. Other regions and countries upon request. 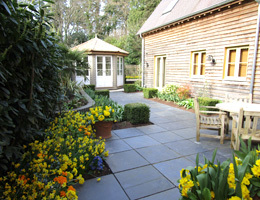 Specialise in quality maintenance, great detailed construction and garden design. With over 20 years experience, Stuart Garden Architecture continue to offer a blend of classic and contemporary designs for outdoor spaces and apply innate understanding of timber in the manufacturing process to achieve the desired scheme. 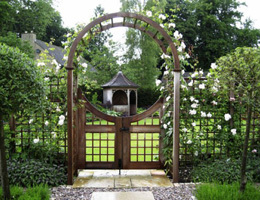 Colin creates items such as gates, railings, cattle and dog grids together with the fabrication of structures such as pergolas and arched walkways he even creates sculptures. Each item he produces is fully bespoke. They undertake projects both large and small, together with carrying out the all important maintenance on gardens, many of which they create, as well as others. 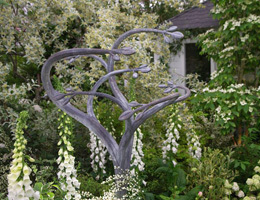 Director Russell Lloyd has possibly an unrivalled knowledge of sourcing materials for every hard landscaping need.